Bill Belichick hasn’t changed much, and he still destroys the opposition. Super Bowl LIII was the best Super Bowl ever. The amount of homework that could have been completed in the first three quarters was greater than the last five Super Bowls combined. Even at half of the normal brain capacity, an even 50-50 split on attention toward the big game and homework was easy to pull off. As the lowest scoring Super Bowl in NFL history, the “Super Bore” this year was for the most part just that. And if you didn’t think that Bill Belichick was a villain before this game, it is hard to argue that point now. So much of the buildup to the game centered on the old guard of the Belichick and Tom Brady led Patriots against the new, better, high-flying Rams and head coach Sean McVay. McVay has quickly risen to the top of the NFL coaching pecking order, and rightfully so. The Rams have transformed after a Jeff Fisher era, and the offense has been near historic. Jared Goff looked like a bust after one year under Fisher, but less so now. Todd Gurley continued to improve; the wideouts started to spark. McVay’s transformation has seen everyone who has had lunch with him signed to a coaching position, with owners desperately trying to find the next new thing. Belichick just proved that the next new thing may already not be ready to go. In a stroke of masterclass, the Evil Emperor destroyed all of the joy that comes with a high-flying offense by smothering it. Goff looked like a deer in headlights most of the game. The running game was stuffed, and the Rams were grounded to a halt. 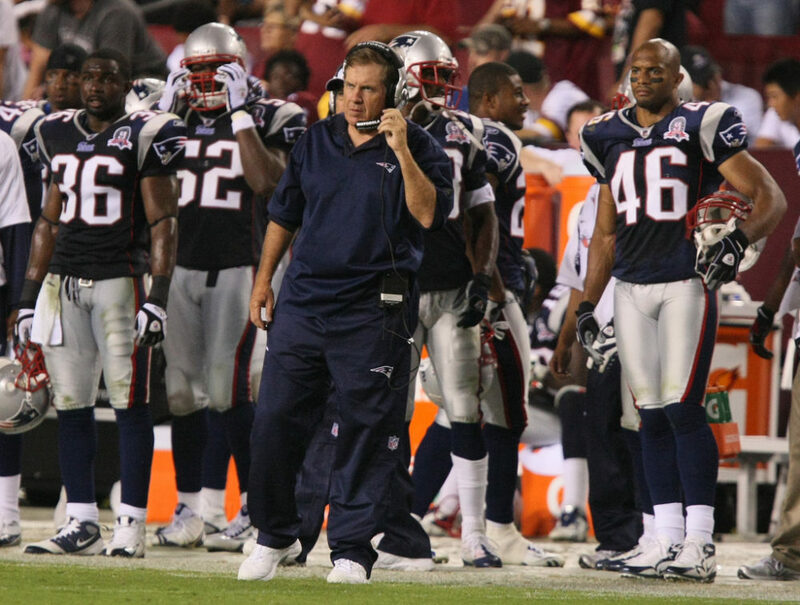 Credit needs to be given to the Patriots defensive coaches, both past and present. Former defensive coordinator Matt Patricia, now the head coach in Detroit, provided a blueprint on beating the Rams back in Week 13. A Cover 4 zone look with five or six near the line of scrimmage to take away the run and subsequent play-action got the Rams out of rhythm. Even a glitch in the Patriots’ defensive matrix wasn’t enough for the Rams offense. With Brandin Cooks wide open in the end zone, Patriots’ Jason McCourty flew back to break the pass up at the last second. In all, the Rams tied the Super Bowl record for fewest points scored with three (tied with the Miami Dolphins’ score of 3-24 against the Dallas Cowboys in Super Bowl VI). Never did it really feel like the Rams were going to score a touchdown. Maybe Greg Zuerlein should have tried a 70-yard field goal. On the flip side, Wade Phillips deserves some credit. The Rams defensive coordinator did an excellent job stopping the Patriots and Brady. The twist in the tail came in the fourth on the only touchdown drive of the day. The use of 22 personnel with tight ends Rob Gronkowski and Dwayne Allen, fullback James Devlin and running back Rex Burkhead broke the Rams system. Three straight plays got 49 yards, and Sony Michel did the rest. In an era that has seen offenses fly around the field with lots of speed, going big won the Super Bowl for New England. The dynasty of New England rolls on, and it could continue next year. Until then, the Patriots get to take in the Sweet Victory. And who knows, maybe next year’s halftime show will actually sing that song because that is what the people actually wanted.